To bring life to our stark temporary apartment, we bought a few houseplants. A jade plant and a bromeliad are supposed to be foolproof, but in a few short weeks mine are looking a little lack-luster. Too much water? Too little? Too much sunlight? Too little? 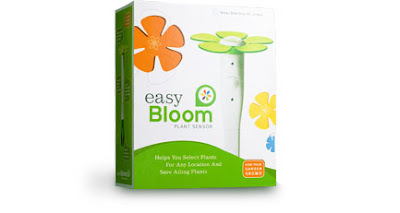 I’ve discovered a gadget that may cure my black thumb- the easy bloom. 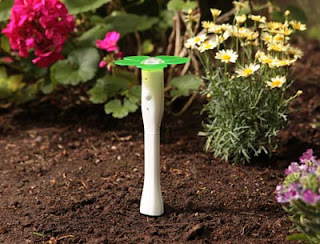 The compact tool is multi-functional; it is a diagnostic tool for ailing plants, a resource guide tailored to your personal environment and it can be used indoors and out. 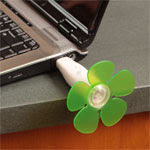 From the soil to your USB port, it is as easy as plugging it in. 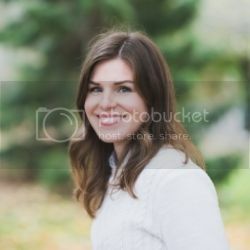 Someday, I will have learned the ins and outs of gardening and the tricks to flourishing houseplants; but until then, the easy bloom seems like it could be the ticket to a greener life! cool find. thanks for sharing! i need this too, i kill succulents! This is a cool little gadget. I just recieved a circular for this in the mail. I saved it because I'm trying to cure my black thumb. Isn't amazing the ideas people come up with? Did you already purchase yours? If so what are your thoughts? Barbara, I haven't used one yet, but if you get one, let me know how you like it!